Prevention and early detection are the key to avoiding tooth decay and gum disease. A good home regimen, in addition to regular cleanings and exams, can spare you many expensive dental treatments. Prevention starts with controlling plaque, a colorless bacteria that sticks to the surface of your teeth, and calculus, a harder mineral deposit. These are the main sources of decay and disease. By maintaining a proper routine of daily hygiene, you can avoid most oral maladies. 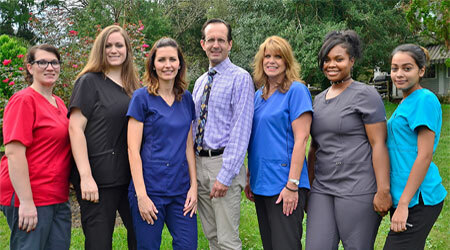 Our hygienist is available to assist you with your hygiene and management of your gums. Regular dental cleanings, performed by a registered dental hygienist, are a crucial part of preventive dental care. By removing plaque and tartar, your oral health is enhanced and your risk of gingivitis and periodontal disease are minimized. Your dental hygienist will utilize manual instruments to scale away moderate plaque and tartar buildup, or an ultrasonic device to scale away heavier buildup. The cleaning is finished with polishing, a pleasant procedure that cleans the surface of teeth, removes stains, and leaves the mouth feeling clean and refreshed. Take and analyze x-rays, which may reveal decay, bone loss, abscesses, tumors, cysts, and other problems. Early signs of gum disease include redness, swelling, or inflammation around the gum line. If these warning signs appear, your dentist will check for hardened plaque, also known as tartar or calculus, below the gumline. Finally, your dentist may use a tool called a probe to test gums for bleeding and measure periodontal pockets. When gums are unhealthy, they pull away from the teeth, forming these pockets. If the periodontal pockets are deeper than 3mm, periodontal disease is confirmed. A sealant is a plastic material that is usually applied to the chewing surfaces of the back teethâ€”premolars and molars. This plastic resin bonds into the depressions and grooves (pits and fissures) of the chewing surfaces of back teeth. The sealant acts as a barrier, protecting enamel from plaque and acids.